An informative event will be held for the RISE Research Center (Research Center on Interactive Media, Smart Systems and Emerging Technologies). 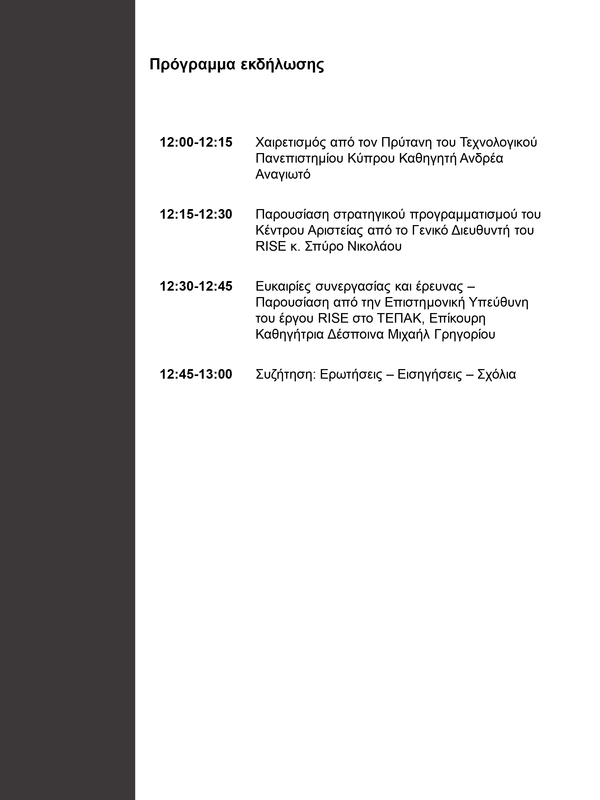 The event will take place on Tuesday 2 April, 12:00-13:00 at Senate Hall, Rector’s Building (Archbishop Kyprianou 30, 3036, Limassol, Cyprus). The Rector of the Cyprus University of Technology, Prof. Andreas Anagiotos, will address the event. The strategic planning of the center of excellence will be presented by the Chief Executive Officer of RISE Mr. Spyros Nikolaou. 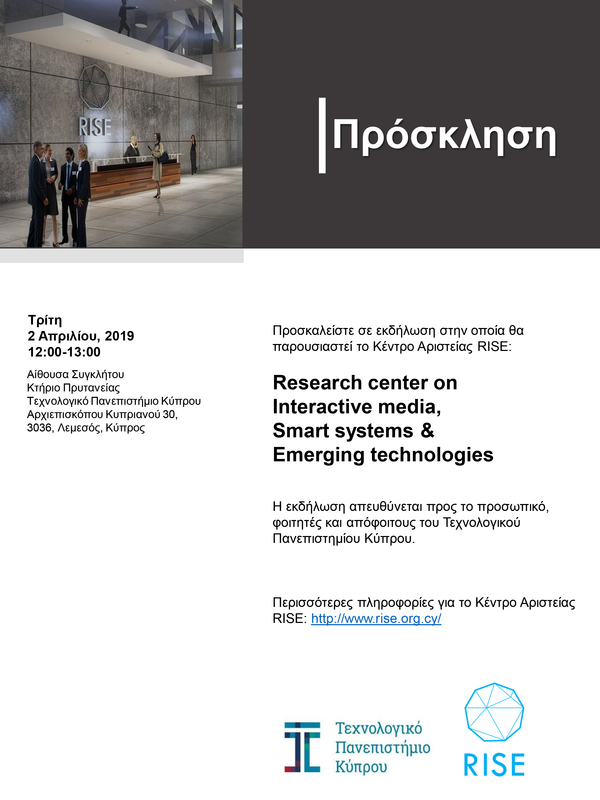 The collaboration and research opportunities will be presented by the Principal Investigator of the Cyprus University of Technology for the RISE project, Despina-Michael Grigoriou. The event is addressed to staff, students and graduates of the Cyprus University of Technology.